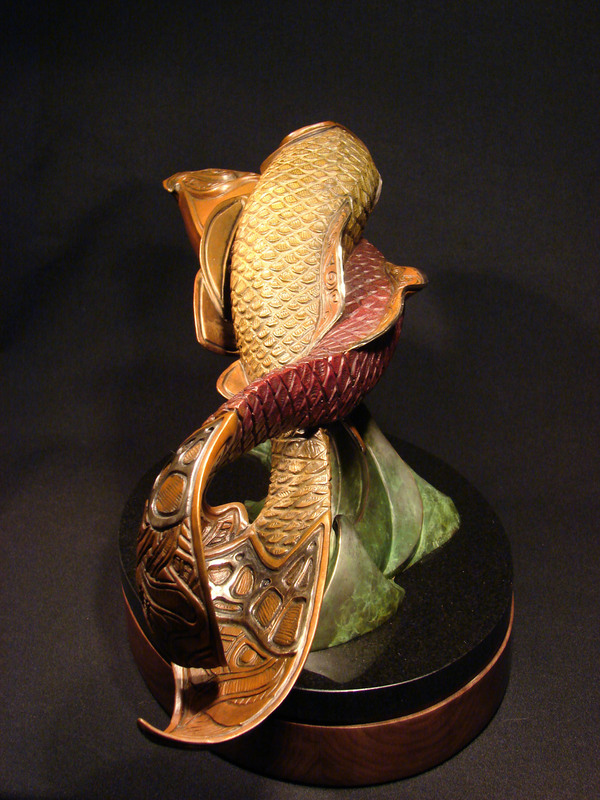 Swimming together through life in love’s embrace, the two koi are tightly pressed together. Their tails join to form an upside down heart. The heart is a common theme in my work, sometimes formed intentionally as it is here, and sometimes appearing naturally on its own. 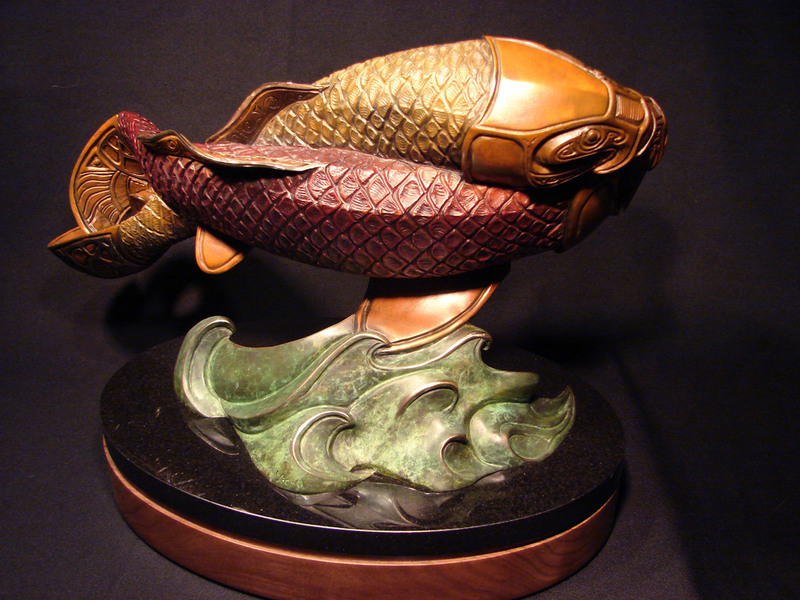 Koi Meets Girl is available both as a fountain and as a sculpture mounted on a rotating base.